Spit on, kicked, called names. That's what the mother of an African American boy said has been happening to her son at a Tucson, Arizona school over the past few months. 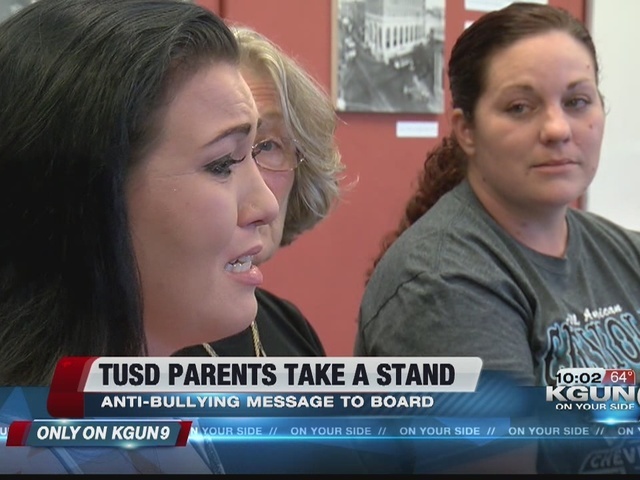 She and other parents say the Tucson Unified School District has ignored their pleas for help and they spoke out at Tuesday's school board meeting. Less than 24 hours later, she says the district has taken legal action against her and she and her son have been forced out of the district. Sue N'Goran's son is in third grade. She says her son has been a target of bullies. "He's been bullied by these children calling him a dirty "N" word saying that he's brown only because he's so dirty that he can't get cleaned. So he'll scrub himself, he'll sit in the bathroom and scrub his skin trying to get the brown off of him. And asking me why did you make me brown. If you know I was going to get bullied," she said. During the board meeting, N'Goran says a district administrator told her that they would squash the bullying as of that night. N'Goran said the district administrator told her 'we're going to tackle this bullying issue and we're going to take care of it.' Excited, she said she showed up the next day with her young daughter to meet with an African American advocate for her son. But, her enthusiasm soon faded because she said the principal and director told her she made that all up. Later at home she said she got a call from campus security. She was told, "I'm serving you over the phone. 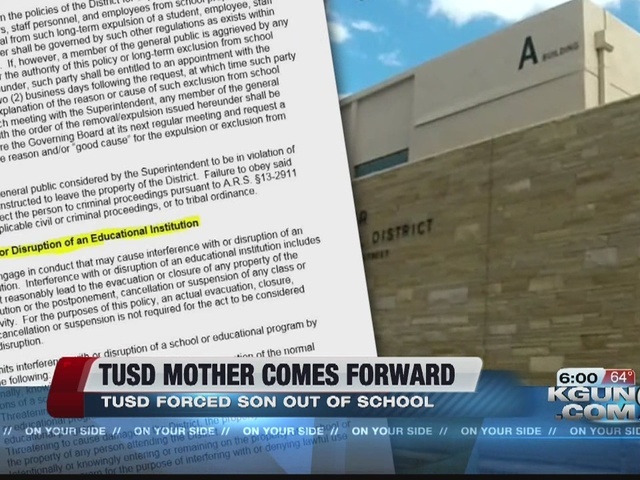 You are not to step foot on TUSD property, the school or the district ever again in your life or your son. If you do you will be arrested." The charge: Interference with an Educational Institution. "We cannot comment on any particular incident due to privacy laws. In general I can say that campus safety is our highest priority. Any person who threatens students or staff or presents a concern with the rights of others is not allowed on campus via board policy." "Never have I made a threat to anyone regardless on school campus or off. That has never happened," said N'Goran. N'Goran said she told the principal she would speak out at the next board meeting and she's sticking to that plan.